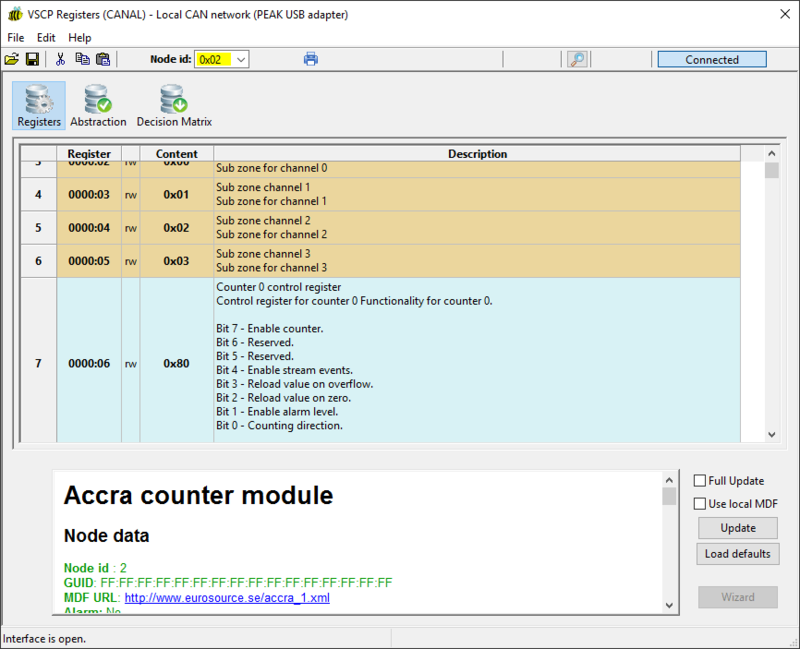 The Accra counter module is up and running now and we are doing the last debugging of it. Available in the FrogShop next week I hope. It is just lovely I can tell you AND useful. Also got boards for Moscow, the Power Injector and Frankfurt USB today. Moscow is a wifi board that connect CAN4VSCP to wifi, typically connects to a VSCP daemon or something like that. The Power Injector is a board that can be used to connect CAN4VSCP boards together without the RJ-45 cabling by using the expansion (daisy chain) connector of the modules. Will be available in the FrogShop next week. The Frankfurt USB is the Frankfurt RS-232 with built in USB. That is it is powered from the host. It will be available in two versions. One for DIN mount and one in a boxed version. The boxed version will be the first that will be available. This “thingi” has big buffers in addition to all the features of the Frankfurt RS-232. Below some live data from the vscp-ux components.